Our toy pick for today in the 2017 PopCult Gift Guide is the perfect gift for the rabid fan of Ghostbusters on your holiday shopping list. 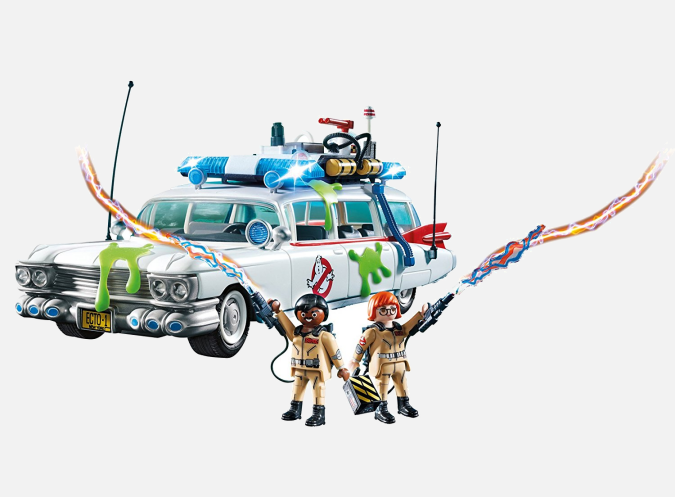 Earlier this year Playmobil acquired the rights to make playsets based on Ghostbusters, and one of their many way-cool sets is the Ecto 1, the modified 1959 Cadillac Ambulance that the poltergiest-punishing crew uses to get around. Selling for fifty bucks or less at retailers that carry Playmobil toys, the Ecto 1 is a pretty cool recreation of the iconic vehicle from the original Ghostbusters movie. It has sounds taken from the original effects library and functioning lights, plus a detachable roof so that you can easily stash all the proton packs and Ghostbusters to get them ready for their next mission. This set also includes Ghostbusters Winston Zeddemore and Janine Melnitz in their official uniforms with two detachable proton packs and proton wands, ghost trap, PKE meter for measuring psychokinetic energy, and silicone slime splatters that stick to smooth surfaces. Recommended for children and adults ages 6 and up, this is a great display piece for grown fans of the movie, but it’s also durable enough for kids. For a limited time you also get a code that you can redeem online for four episodes of The Real Ghostbusters cartoon from the 1980s. Ghostbusters has earned a place among the pop culture elite and continues to be popular with multiple generations of fans. It’s a fandom that managed survive that awful attempt at a reboot from 2016, so you know it’s here to stay. 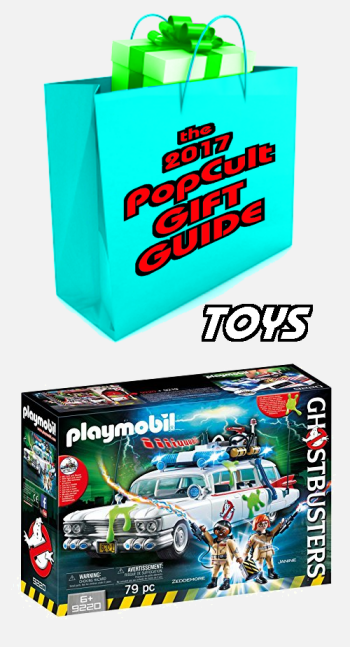 Like I said, you can find the Ecto 1 (as well as other, more elaborate Playmobil Ghostbusters sets) at retailers that carry Playmobil, or you can point your browser to Amazon, and try not to cross the streams.